Idaho State Police are investigating an fatal crash involving a snowboarder near Bogus Basin in Boise County. 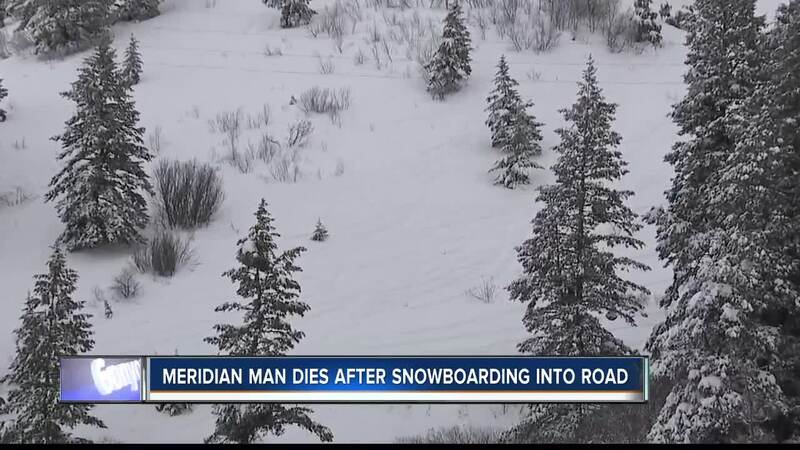 Police say 32-year-old Shea Helmick of Meridian was snowboarding near milepost 15 around 3:15 Saturday afternoon outside the boundary of Bogus Basin Ski Resort when he attempted to jump Bogus Basin Road. A juvenile was driving northbound in a Hummer, and Helmick was struck. Helmick was sent to the hospital by ground ambulance, and died at the hospital. Police say he was not wearing a helmet. Next of kin has been notified. Police say the juvenile driver and his juvenile passenger were both wearing seat belts and were not transported. The dangerous hillside, leading straight into the street is a popular place for skiers and snowboarders to test their limits. They call the route "Hitch Hiker" because once at the bottom, people need to catch a ride back up to the top. Bogus Basin was packed on both days this weekend because of all the new snow, but that also created a lot of traffic on the road going both up and down. The photo used in this article is a generic photo.